You're buying Battlefield 3 anyway, so why not pre-order through Origin and get a free game while you're at it? If you've been reluctant to hop on the Origin bandwagon, maybe some free games will change your mind. EA is giving away Dead Space 2, Mass Effect 2 or Medal of Honor to early Battlefield 3 buyers as a pre-order bonus. It's an "act now" sort of situation, though; the promotion ends August 31st. Remember, Battlefield 3 won't see the light of day on Steam, so PC gamers planning to play the game don't really have a better option than succumbing to the seduction of Origin at this point. This is a smart move for EA. Limiting the release of one of the year's biggest games funnels buyers toward that particular digital distribution service. Restricting how and where someone can play your game is bound to set off more than a few fuses in the community, though. Maybe free games will help quell some rage. The games on offer are a great bunch. Both Dead Space 2 and Mass Effect 2 are phenomenal EA titles. Medal of Honor is easily the weakest of the bunch, but BF developer DICE is responsible for its top-shelf multiplayer. This promotion ends just in time for EA to start up the multiplayer beta for BF3, access to which serves as another pre-order perk. 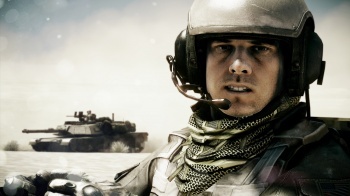 Battlefield 3 is available for PC, Xbox 360 and PS3 on October 25th.